I’ve been feeling the need to write this post for a while; actually since I wrote my very first post and was inundated with and overwhelmed by so many supportive comments, many from people I don’t even know but will hopefully meet one day. A remission party is sounding like a very good idea I think. Just better make sure I get into remission! I thought I’d get up to date with this blog long before now and was planning to do the big thank you then, but I have slipped a long way behind again so I will thank everyone now. The support I have received from this blog is nothing short of amazing. The comments I have received have made me laugh and made me cry. I appreciate every single one of them. THANK YOU! I feel rude for not replying but I wanted to get up to date first. I’ll give you a few stats on the blog. Since I started it, people have viewed it every single day from countries including Australia (of course), New Zealand, Netherlands (hello Huge), United States, United Kingdom, Indonesia, Hong Kong and Germany. The highest number of visitors was 239 in one day – astounding! To date, there have been 5,501 views. I have received 144 beautiful comments; The President is in first place with 20, followed closely by Jenni (fav sis) on 15. Notably, there are no cousins in the top 5 commenters. Some work to be done. 106 people have signed up to follow my blog – incredible! People have shown support in many different ways. Comments on this blog, text messages, phone calls, emails, looking after my kids, bringing meals, organising girls dinners, massage vouchers, tidying the kids playroom in my house, cleaning up outside my house, dropping in for a visit, taking me to chemo, accompanying me wig and scarf shopping, sending cards and gifts in the mail, delivering collections of notes and gifts from work colleagues……the list goes on. THANK YOU, THANK YOU, THANK YOU! Special mention of course must go to Jenni (too many things to list here and she’s got enough mentions already and will get more), my mum who has virtually moved in because for a great deal of time I’m incapable of looking after my children, and to my children for giving me a pretty good reason to endure this bloody awful chemotherapy. 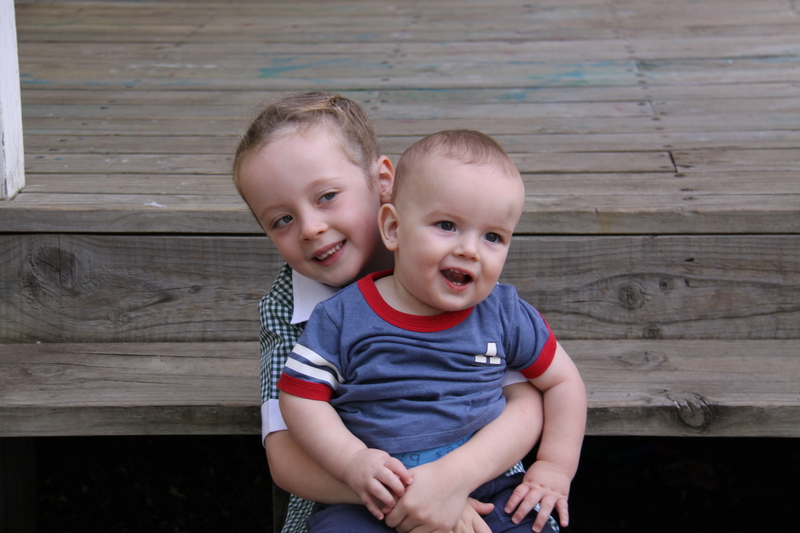 My kids, just in case you haven’t seen enough of them. 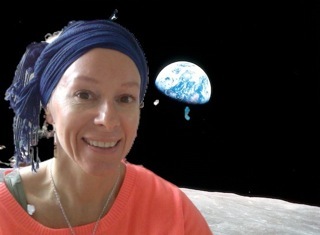 Apologies again, because there are so many other kind and thoughtful things people have done that I probably haven’t listed here and that in the midst of chemo brain, I have forgotten to mention in the relevant posts. It seems that everyone wants to be famous and get a mention in this blog and I try to accommodate. If you don’t get a mention, it doesn’t mean you’re not appreciated, it just means the chemo is rotting my brain and I forgot (not the kindness, just to mention it). 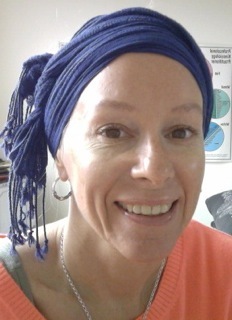 I love a nice scarf on a head, but you’re right: unfortunately in our society it screams “cancer! !” Scarves were a huge hit in the 70’s & in other countries, like Africa and south America and others they are part of the culture and the women look gorgeous!! (especially with some nice gold hooped earings!!) They are practical also!! 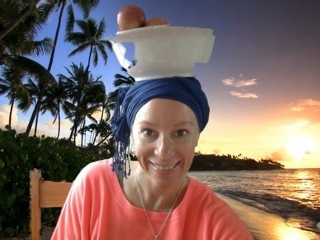 Maybe you could you tube how to learn to tie a scarf so that you could carry things on your head, just like an extra arm!!! That is if you ever feel the need to have to carry a basket of washing or an urn of water on your head or harvested corn!! 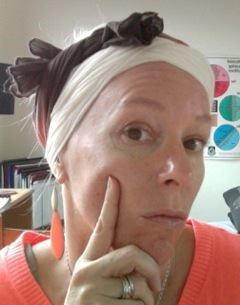 Anyway I was inspired by your daughter’s creative skills with the scarf & wanted to try this scarf trend for my self. What do you think? No description provided for this one. A tame first effort. Apparently this space one was just because she could and she says is well known for being a space cadet! This one is in case she feels like “not” walking to the fruit bowl. She can just pick it from her head! Cousin Lisa did comment that she hopes she hasn’t offended anyone with cancer with that last one. Well, she certainly hasn’t offended this chick with cancer. I found her pictures hilarious and certainly appreciate such a unique and entertaining way of providing support! I must also make special mention of my niece (dare I say favourite niece?? 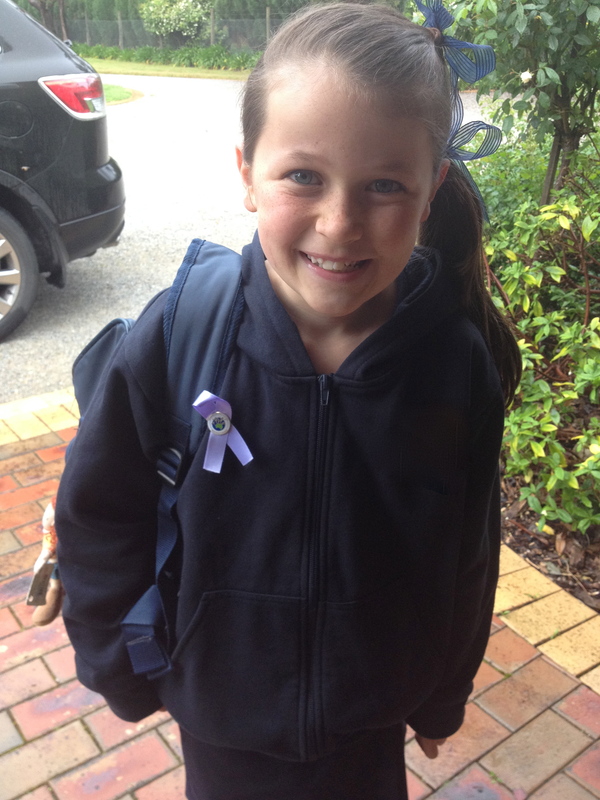 ), Molly, who is also a follower of my blog and who proudly wears a violet ribbon to school, violet being the colour of the awareness ribbon for Hodgkin’s lymphoma. Thank you Molly! And thank you Jenni for supplying a ribbon for my daughter also, which in her words, is a ribbon “for the cancer that doesn’t make you die quickly”. Well at least she didn’t say it was a good cancer! A proud supporter of a proud auntie. Couldn’t imagine NOT helping you. You are amazing and still manage to teach us things everyday. I say THANKYOU! P.S I will catch you Lesley!! Jenni’s right Melissa; it’s you we should be thanking! You’re amazing, brave, inspirational & funny!! Must of inherited it from big sister Jen who clearly displays the same qualities! A great post, Cousin turtle. Now all I have to do is keep commenting to make it into the top 5 and become the fav cousin hahahaha. It is great to hear about all the support and love you have and that my fav Aunty has been there to help you.. Still waiting for you to rock out Phil’s wig, with an apron????? Jeesee Jen let me have some respect as the preso. Melissa I know it’s not the good cancer. But you certainly have the best sister to help you and support you through this adventure. Not that your other siblings love you less. Melissa i constantly go from laughing to crying in these blogs and I’ll continue to send messages of support and texts and pray for you. One good thing about this cancer, it’s made people realize how much we love you and want you to beat this bloody thing as painlessly and as quickly as possible so we and you especially can all get back to normal uncomplicated lives. I don’t like hearing that you are sick. I hope you feel better very soon. Can you please make me some more caremal slice? Oh Mel loving your blogs, laugh, cry, laugh, cry (and pics always hilarious). And miss Molly (great name by the way!) you’re such a little legend. Lets hope this horrible journey ends on a high high note and PARTY!!!! ❤ to you. Congrats on getting the ‘good’ cancer and doesn’t living with any of them challenge us.